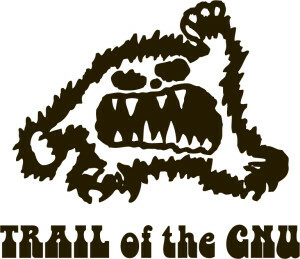 We are very sorry to report that we have made the decision to cancel this year’s Trail of the Gnu TSD. Kris and I were on the roads today to see if the recent warm weather had cleared up enough roads for the rally to go ahead, and only 1 road was found passable from start to finish. Many of the regularities were in great shape for up to 80% of the distance, but would eventually hit a blockage with an unplowed section where we would get stuck in the middle of the road, even in a 4wd with good winter tires. Other sections were starting to flood and swamp.